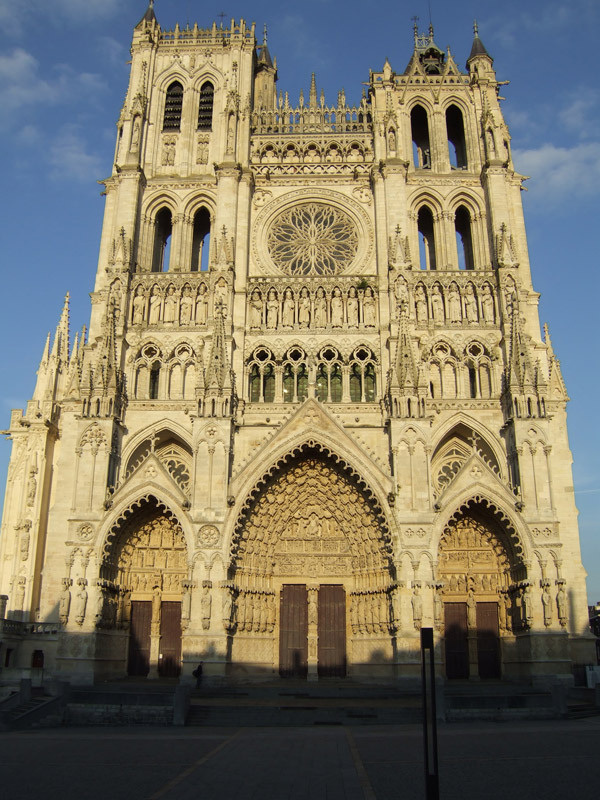 The western frontispiece of Amiens cathedral displays a program of three sculpted portals. The south portal addresses the theme of the Virgin Mary as Mother of God. The lowest register of the lintel depicts six Old Testament patriarchs flanking the trumeau canopy, which contains a representation of the Ark of the Covenant.